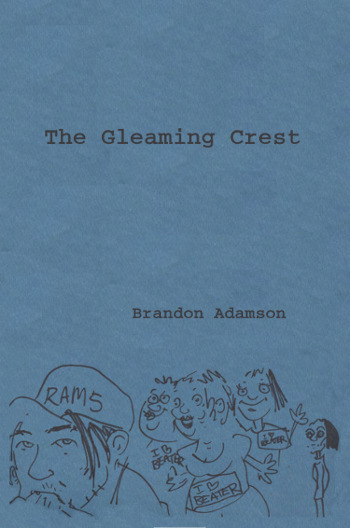 Originally published in 1995, “The Gleaming Crest” was my first poetry chapbook (you can read more about it here.) Written while I was still in high school, this obscure literary gem from the 90’s deals with themes of adolescent angst, grandiose dreams, romance and coming of age. It’s only about 35 pages, but worth picking up a copy since it’s basically vintage at this point. The book is available from Amazon, but there are also quite a few copies floating around in locally owned book stores, record stores and random shops. It’s a great book to have sitting out on a coffee table if you want to get strange looks from guests who come over.